If we asked several students to list their struggles, we’d definitely find this one being a priority: time. Every single one of them struggles with time. First and foremost, they have classes to attend. Then they rest, work on their academic assignments, study a bit, and go to bed early. That’s what the perfect, most committed student would do. But we all know that most students also want to watch TV shows, spend time with friends, party, and fit in some exercise along the way. So how do you manage to do all this? There’s a simple solution: time management. It’s a skill that anyone can develop. When you start working on it, you’ll practically change your life. When you’re trying to get more time out of a single day, the most logical solution would be to get less sleep. That’s not what you should do. Sleep deprivation takes away your energy and focus, so it practically makes you incapable to function at your best. It’s okay to stay up late to study and write papers when you absolutely have to. But don’t turn this into a habit. Try going to bed at a reasonable hour every single day, so you’ll get at least eight hours of sleep and wake up ready to grab the new day. Someone probably mentioned Google Calendar to you. You probably tried using it. You noted the exam dates and then you forgot all about it. Maybe you even deleted the app because you didn’t like all those notifications. It’s time to start using Google Calendar to its full potential. It’s not just a calendar; it’s a schedule for all your exams and paper due dates. You’ll note down the time when you attend classes and extracurricular activities. Every minute of free time is valuable. You’ll notice that when you organize all your activities well, there’s time for everything. You’ll even have some space to fit the TV show in. No one will attend classes, study, and take tests for you. Those are responsibilities you have to cover yourself. But when you need help with papers, you can certainly get it. The first thing you should do is organize your time and try to work on your own papers. You’ll need to boost your writing skills, so you’ll get better at any profession you plan to pursue. But when it’s impossible to write an essay, research paper, case study, or any other project, you can get help from professional assignment writers. This is not a solution that professors approve of, but guess what: they won’t know about you ordering papers online. Plus, the collaboration with professional writers will help you understand academic composition and get better at writing your own projects. You have to get somewhere and you usually use a car or public transport? You can make a simple, but important change in your life: start riding a bike. Yes; you’ll have to leave early, so you’ll get to your destination on time. But you’ll do two things at once: you’ll commute and you’ll get your exercise. This means that you don’t have to fit in cardio, fitness, lifting weights, or any other physical activity in your schedule when you don’t have time for it. The bike will activate your entire system. You have to study or work on an important project, but you’d mostly want to sleep? There’s a technique that can replace hours of sleep in just twenty minutes: mindfulness meditation. This doesn’t mean that you’ll just start meditating and stop sleeping. It only means that whenever you need to freshen up, you’ll have a brief meditation. You don’t need to do anything special. Just close your eyes and focus on your breath. Thoughts will come and go. Let them. Just focus your full attention on the way you breathe. You’ll soon notice your breath is becoming slower and deeper. You’re getting more oxygen in your system, and that alone makes you feel more awake. Plus, you’re focusing your mind on a single activity, so you’re practically training it for the studying process that follows. Managing your time is not the most difficult thing in the world. You see successful students all the time. They are not smarter; they are just more effective in the way they manage their time. If you follow the tips we listed above, you can do the same thing. Laura Park is an excellent worker when it comes to her freelance writing job on the internet, in which she uses all her power to find peoples’ inner potential and positive attitude toward life. 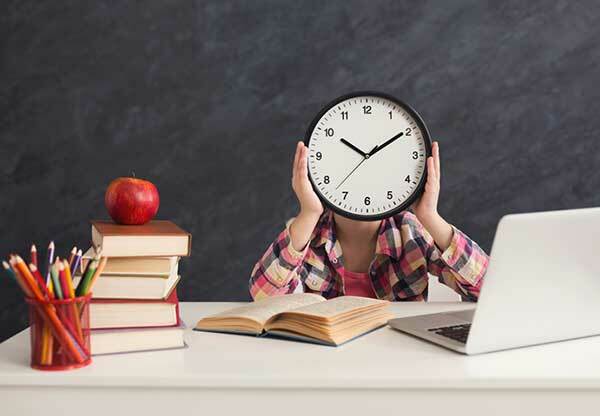 This entry was posted in Tips, Tutoring and tagged Effective time management, Time Management Tips for Students, useful time management tips. Your time management tips are quite unconventional and thought-provoking, Laura. You’re so right that getting sufficient sleep, riding a bicycle and practicing mindfulness and mediation will help with achieving once’s goals given scares time.